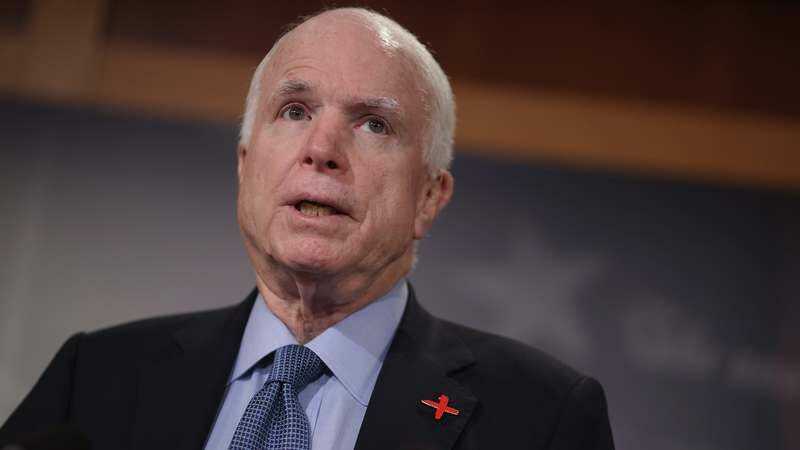 The New York Times reports that Arizona senator, frequent talk-show guest, and one-time presidential nominee John McCain has been diagnosed with brain cancer. The tumor—a fast-growing form of cancer known as a glioblastoma—was discovered when the 80-year-old senator went in for surgery last week for a blood clot in his head. The news was announced by doctors at the Mayo Clinic (and confirmed by McCain’s office), who said that it was too early to set a prognosis. McCain is likely to undergo chemo or radiation treatment for the tumor in the near future; meanwhile, the McCain family has thanked well-wishers and congressional colleagues for their words of support.